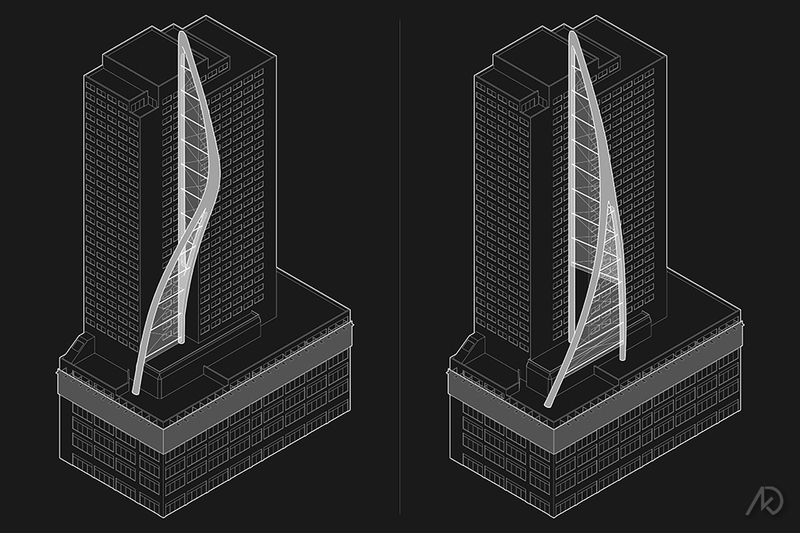 The following 3d diagrams showcase four design options for a new LED billboard on the existing Novotel located in New York’s Times Square. 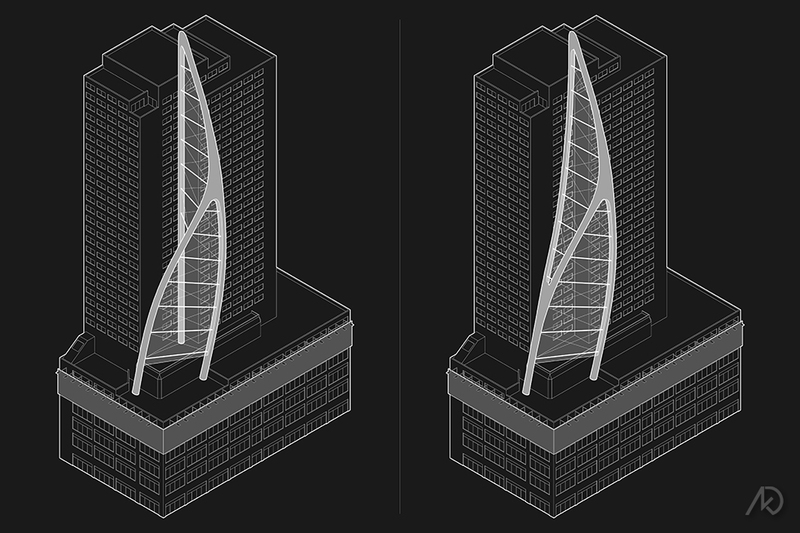 The design options show four variations on a steel-clad sculptural form. 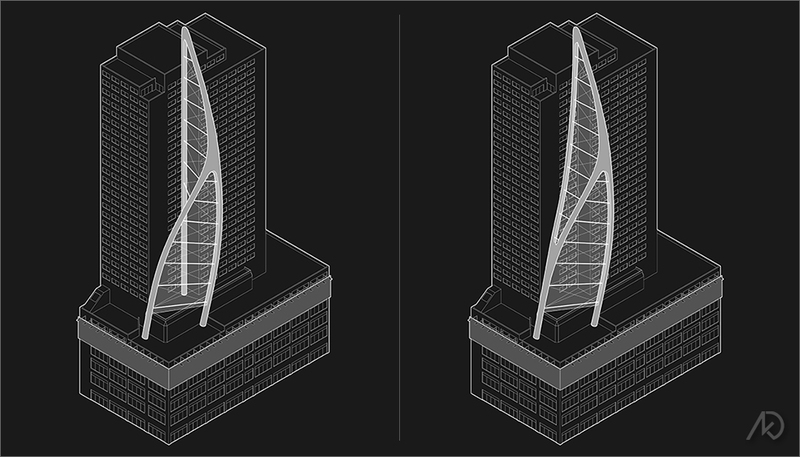 The sculptural form will support an LED mesh infill, which will act as the digital signage. location – taking advantage of the marketing/advertising possibilities. The 3d diagrams were initially presented with respective renderings to show the fully developed ideas. The four design options were used to show my design progression from the initial simple form of the first option, to the more complex sculptural form of the final option.